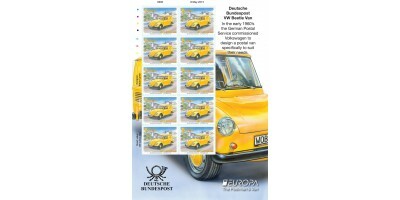 Stamp Descriptions 41p -Guernsey, Diahatsu Van54p - La Poste, Citroen 2CV55p - Royal Mail, Morris 6cwt O-Type Van66p - Deutsche Bundespost, VW Beetle Van74p - Posten AB, Kalmar Tjorven (DAF)83p - US .. 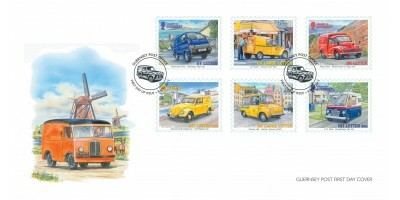 The Postman’s Van is the topic of the May 2013 Europa Set. Robin Carter is a freelance illustrator based in Norwich. 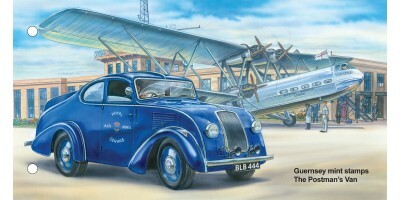 With over thirty years experience Robin has a varied portfolio containing projects as diverse as highly detailed technical illustrations to bright, lively images for children’s literature. 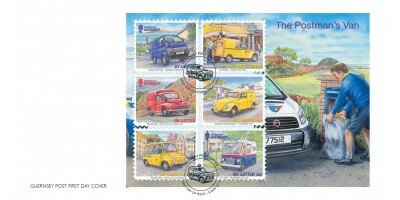 Robin has worked with Guernsey Post on a number of philatelic projects and his unique style was perfect for the latest issue in the Europa Series – the Postman’s Van. “Becoming an illustrator was always my ambition; and when I started there was a lot of call for illustrator services; producing material for comics and encyclopedias for example, the diversity of the subjects make it interesting work. 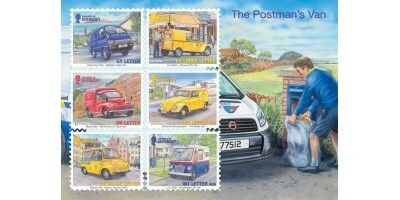 When I received the Guernsey Post brief for the Europa Postman’s Van issue my initial thought was how I could inject some artistic appeal to the subject. 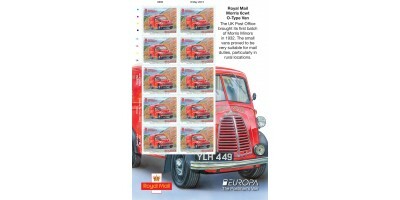 In this case it helped that this was a ‘Europa’ issue, so we could represent the countries and their different vehicles with the environments in which they would appear. 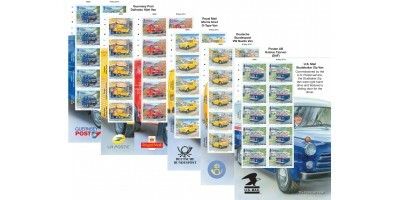 The benefit of books and computer search engines enabled me to research the vans and the scenes, some of which were actually taken from holiday photos! This initial research can often take longer than painting the illustration as it’s incredibly important to find the right images to make a good composition for the stamp. 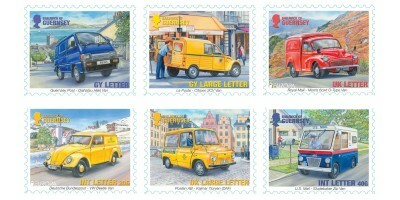 Considering the diverse places where the vans would deliver their mail also helped to conjure up possible scenes; for example one stamp shows a Morris van in the Lake District. It is always interesting working on stamps as the diminutive size can sometimes present issues; it is important to carefully consider how the various ‘furniture’ of monetary value, the Queen’s head and caption will fit.